I have become a huge fan of sheet masks and my latest choice of mask comes from Maskeraide** which you can find in Selfridges. Now for me the first thing which stands out is the packaging, I absolutely love it, not only is it bright and eye-catching, it just grabs my attention. The Detox Diva mask is filled with really good nutrients such as Green Tea Leaf Extracts, Geranium Oil and Seaweed all of which work together to minimise pores, absorb impurities. There is also Chinese Plum, Strawberry and Lemon Fruit Extracts which work to gently exfoliate and lift dead skin cells revealing clear luminous skin. The face sheet is also Argan Oil based to help keep skin hydrated. The MaskerAide beauty mask sheet is specially cut to fit the contours of your face, though slightly on the larger side which leaves enough room for you to tuck it around the underside of your face to ensure it snugly fits. Once the sachet is open, the sheet is visibly soaked with what are referred to as antioxidants and they act as an incubator blocking the air from your skin to allow your pores to open and fully absorb the masks full beauty benefits. It smells absolutely incredible, really fruity and fresh scented. As soon as the mask is on the face, there is an immediate cooling feeling which is really relaxing and it works to stimulate blood flow and awakens your skin. The instructions state to leave the mask on your face to work its magic for 15-20 minutes and then simply remove, lightly rinse your face and pat skin dry. My skin absolutely loved this mask. Not only did my skin feel incredibly refreshed and hydrated but also soft and smooth to the touch. Long gone is the dryness feeling and left in its place is glowing skin. Since using this mask, I would be more than happy to try others from the same range, there are six in total to try and each sachet contains one mask. Have you tried any of the masks from Maskeraide? I have tried a couple of fabric face masks and although I find them a bit fiddly love the results. I will keep an eye out for these ones! I have never tried a sheet facemask, but this looks and sounds good, so will give it a try. I love the idea of a sheet facemask - a lot simpler to apply I bet. 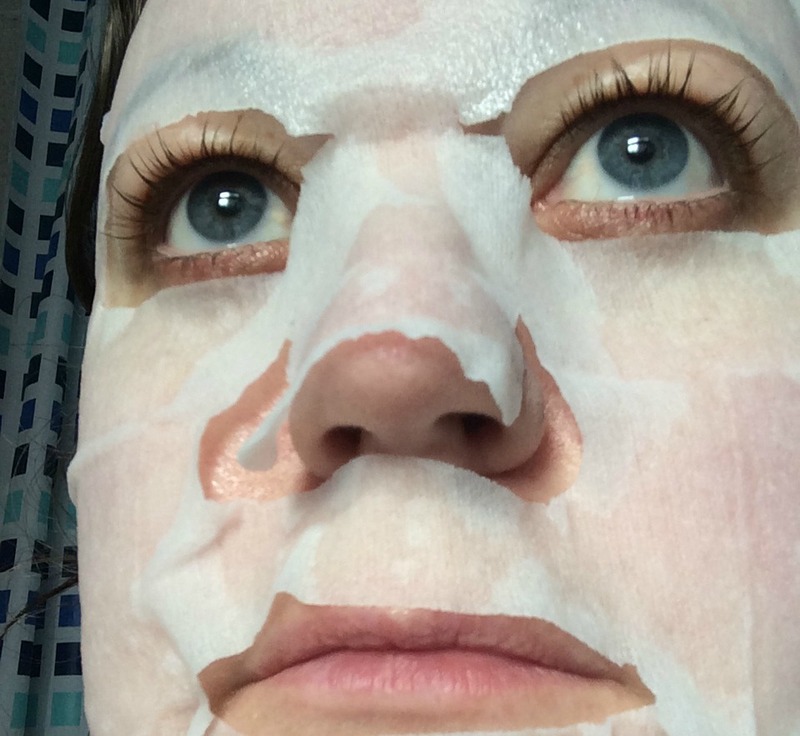 Wow, I have never tried a sheet mask, but it really sounds like I should! I've never seen a product like this before. It sounds like it works very well. I've not used this particular brand, but I've used a mask sheet before - one does look quite scary when it is on!! Oh this looks like a good idea. I like face masks but hate trying to peel or wash them off afterwards so this would be a great alternative. Never tried it, I prefer creme masks when I use them but don't often have the time to do a full on mask these days. I've never seen masks like this - love the idea of them being really cooling, my skin would love it! I've tried similar masks before and always enjoyed them - even though I look super creepy in them. Love the idea of masks like this - none of that scrubbing away dried on masks, and then finding you missed a bit by your ear AFTER you have left the house!